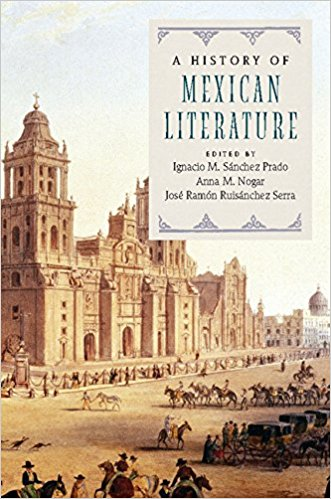 A History of Mexican Literature, co-edited by professor José Ramón Ruisánchez with Ignacio Sánchez Prado and Anna Nogar, received a "Choice Academic Award" as a distinguished scholar publication of 2017. It was also selected as one of the 75 books recommended for community college libraries. Public Lecture: "A Carrier Bag Theory for Digital Humanites"
This Talk applies Donna Haraway's "carrier bag theory" to the Digital Humanities and considers how to transform digital archival work into social justice. ¿POR QUÉ LO PINTAN DE DÍA? Sylvia Fernández, is a Ph.D. Candidate at the Hispanic Studies Department and a Research Fellow with Recovering the U.S. Hispanic Literary Heritage. Her research is on U.S. Latina/o Literature with a focus on U.S.-Mexico Borderlands Literature. She is a co-founder of Borderlands Archives Cartography, a digital humanities project dedicated to locate, digitize, and facilitate access to nineteenth and mid-twentieth century newspapers. Sylvia was selected as a 2017-2019 HASTAC Scholar, an interdisciplinary community of humanists, artists, social scientists, scientists, and technologists that are changing the way we teach and learn. Ph.D. Candidates Maira E. Álvarez and Sylvia Fernández Participate in the Poster Session at the 2017 GRaSP Day. Dr. Mabel Cuesta will present her new poetry book "In via, in patria"
Health and Society in the Hispanic World (SPAN 4343). Spring 2016. Nine students successfully completed service learning internships at different clinical sites serving the Hispanic community in Houston this semester. They developed educational projects that provided critical information to empower Latinos to make better decisions about their health. Some of the students will expand their projects over the summer, one will begin medical school in the fall, two will participate in global health programs in Haiti and Nicaragua, and another will continue in a paid internship to develop a program on Centering Pregnancy before applying to medical school next year.